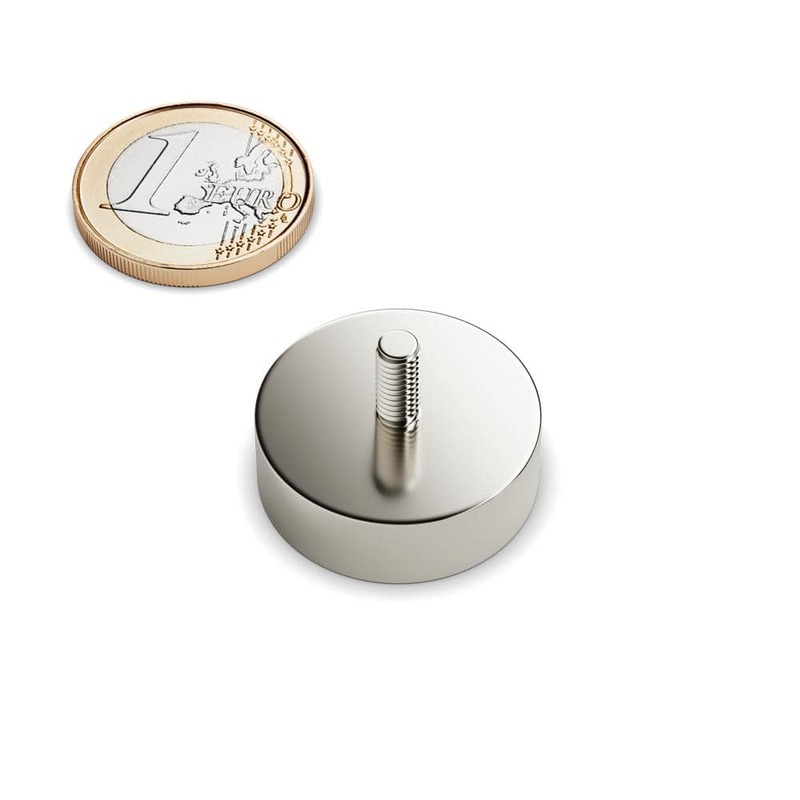 Neodymium pot magnet with thread D 25 mm. 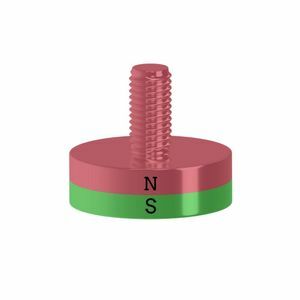 Neodymium flat grips 25 mm - diameter 25 mm. This magnet can be screwed into a screw nut or thread like a screw because the thread of the magnetic flat gripper is external.